Talent Time's Vancouver's 125 Birthday Bash! 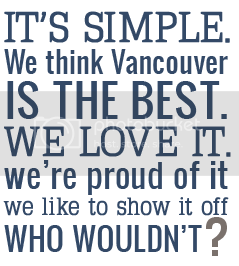 Tomorrow it's Vancouver's 125 birthday, which we are very excited about it. We are also very excited to be celebrating the momentous event by participating in Paul Anthony's Talent Time: Vancouver's 125 Birthday Bash! 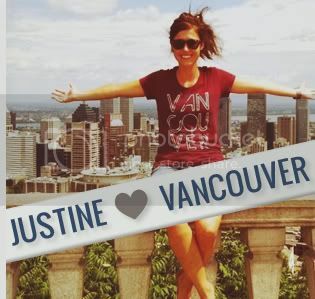 You may remember we posted a blog a few months ago featuring of a woman singing what could have potentially been Vancouver's theme song. We instantly loved the song, and her, and when we heard she would be performing at Talent Time we knew we had to be involved. Thankfully Paul Anthony also agreed. So tomorrow evening come hang out with us at Talent Time at The Biltmore. 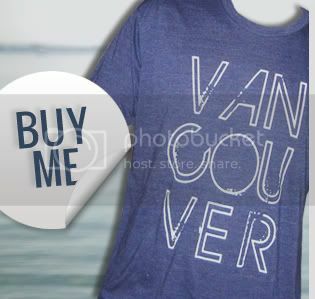 Our Vancouver we love you shirts will be for sale, many of the Vancouver, we love you crew will be there to hang out with, and as always high fives will be free and plentyful. If you've never experienced Talent Time, you're in for a real treat. Doors open at 8pm and there is an $8 cover charge.